Today, I made a leisurely excursion through parts of Columbia, South Carolina. I have found my trails to lead here several times over the past few years. There are many beautiful areas in the city, particularly the older downtown area. The history of the state shows in the old buildings and historical sites. On previous trips to Columbia, I visited the South Carolina Confederate Relic Room & Museum and the South Carolina State Museum. Both contained interesting displays. One of the places I visited today was the statehouse. The South Carolina State House is a beautiful old capitol building with lush grass, shrubs, and trees. Inside the building are sparkling marble walls and monuments. On the first floor, the brickwork in the arches is plain and covered with white paint, but stately, nonetheless. The green and gold of the upper level ceilings offset the rich woodwork of the walls. Perhaps the most interesting items I saw in the statehouse were two brilliantly-colored paintings hanging over the two main staircases. Pictures are below, taken from the website of the statehouse–though these photos do no justice to the true beauty of the paintings. 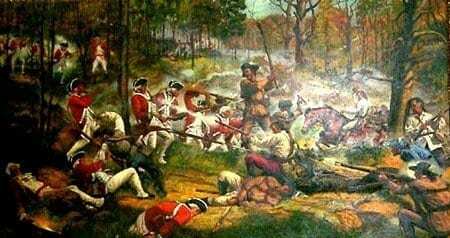 The first painting is by Robert Wilson and depicts the “Battle of Kings Mountain” from the Revolutionary War. 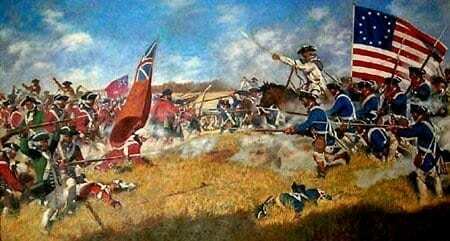 The second painting is also by Robert Wilson and depicts the “Battle of Cowpens” from the Revolutionary War.